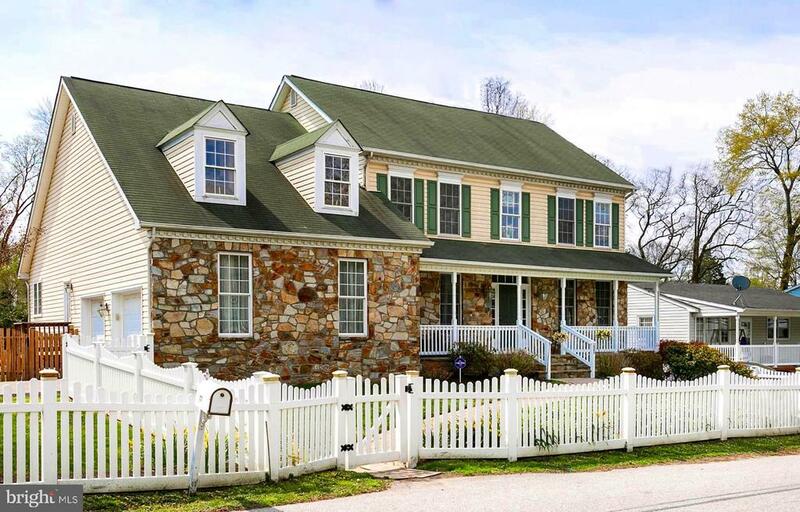 All Glen Burnie homes currently listed for sale in Glen Burnie as of 04/23/2019 are shown below. You can change the search criteria at any time by pressing the 'Change Search' button below. If you have any questions or you would like more information about any Glen Burnie homes for sale or other Glen Burnie real estate, please contact us and one of our knowledgeable Glen Burnie REALTORS® would be pleased to assist you. "Great opportunity/investment to live or rent it out in the existing well maintained all brick home with 3 beds 2 baths and a 3 car detached garage while subdividing the property. The parcel is comprised of 3.37 acres of R5 zoning which allows for SFD- Th's OR Age Restricted - (5 units /acre) Buyer will have to hire consulting firm to determine the number of acceptable lots thru the county. No access into the home at this time. All showings need to be confirmed hours 9am-4pm Monday - Sunday. Home is on public water and septic- public hookup available. 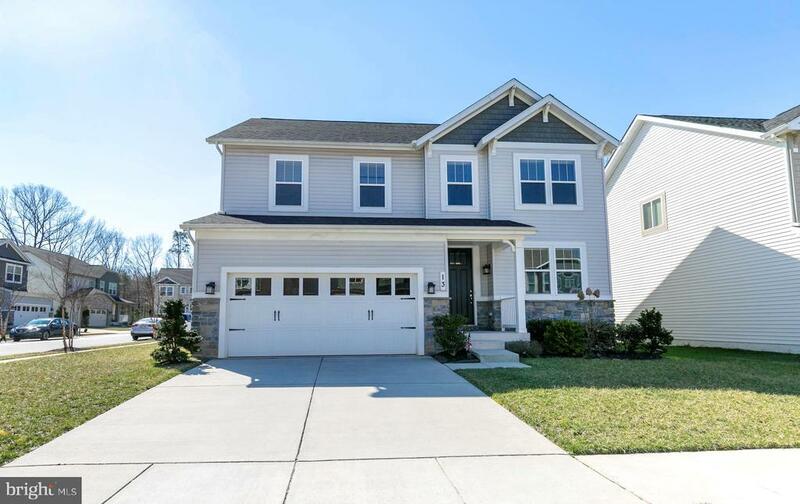 Church by right or Child Care by SE"
"This Richmond American Home includes 5 Bedrooms & 3 1/2 Baths on a wonderful lot backing to trees. No detail left undone! The Gourmet Kitchen boasts Granite Counters, Maple Cabinets, Stainless Steel Appliances, a Huge Island, Double Oven, and Large Pantry. The addition off the kitchen adds a spacious Dining Area and the kitchen is overlooking the Large Living Room with Gas Fireplace. Gleaming Wood Floors throughout the main level, Plus an Office closed by Glass Doors. The Lower Level is Fully Finished with a Family Room, Separate 5th Bedroom, perfect for in-laws, guests or an Au-Pair, and Full Bath, plus 2 large storage closets, and walk-out stairway- the double doors add tons of natural light to the Family Room. The Upper Level has 4 Large Bedrooms plus a Loft and is carpeted throughout, the large Master Suite includes a tray ceiling and ceiling fan, and Master Bath with double vanity, large shower and a large walk-in closet. The additional 3 Bedrooms are complete with Ceiling Fans and Extra-Large Closet space, plus a Full Hall Bath with double vanity and 2nd Floor Laundry Room. Additional features in this amazing property include recessed and pendulum lighting, pre-wired for surround sound, HDMI wired, attached 2-car garage, and a prime lot location. The HOA includes: Outdoor Pools, Fitness Center, Hiking Trails, Tennis Courts, Clubhouse, Playground, Pavilion, Pier & More! This is an amazing water-oriented community!!" "MUST SEE! 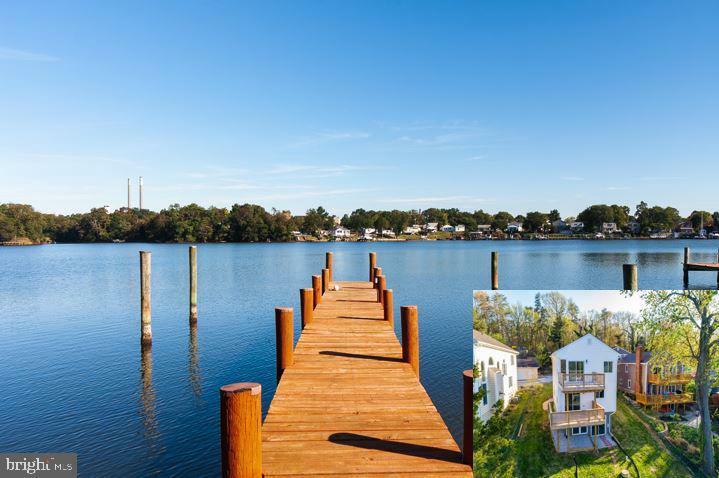 Wake up every day to postcard-like views in this fully renovated Waterfront home. Beautiful and breathtaking water views from almost every room in the house. Just about EVERYTHING is brand new - from the footers to the rooftops (See complete list of renovations in the Documents section listing). With open floor plan and about 2500 finished square feet of beautiful finishings, this 4 bedroom, 3.5 bathroom, is a dream come true. Some features include: 2 master suites (1 on main level and 1 on upper level), both with walk-in closets and private full bathrooms . Both master baths have ceramic floors, custom ceramic showers, upstairs master also has separate Jacuzzi tub. Upstairs master suite features slider to private deck (1 of 2 decks offered by this home) - with amazing water views. 2nd deck is off kitchen on the main level. Open gourmet Kitchen with island & table space. Renovations here include beautiful white shaker 'slow-close' cabinets, granite counters, ceramic backsplash and stainless steel appliances. The main level boasts recessed lights and beautiful hardwood floors spanning the living room, dining room, breakfast nook & foyer. Main level also has 2nd master suite - perfect for guests, in-laws, etc. Fully finished walk out basement with half bath features a big rec room and walks out to the stone patio which leads to your private pier. Basement also has utility room, closets, and additional crawl space, offering plenty of places for storage. Outside, you'll love your private pier with 2 boat slips, 2 decks to soak in the views, fenced in back yard and stone patio. All renovations come with 1 year warranty and were completed to code with permits pulled as required by Anne Arundel County code. Please Note - Parking/Driveway info: The 2 car parallel parking pad in front of the house is part of the property and parking there is for 950 Nabbs Creek. The asphalt driveway leading to the house is a shared driveway with the houses"
"Enormous colonial with full wrap porch on stately .63 acre site! 11 rooms, 3 full baths, currently zoned R5 with potential for many uses of a property this size, this property has a variance to permit professional offices, close to court house, airport and Baltimore Washington Medical Center, also easy access to public transportation. Plenty of onsite parking"
"This Craftsman style home offers a lifestyle in this beautiful water oriented community! Plenty of room in this lovely home featuring an open floor plan with a Gourmet kitchen & Sunroom overlooking spacious Family Rm w/fireplace, Upstairs features a 15 x 15 Loft & Master Suite w/bath & Walk-in closet, 2nd Floor Laundry, This home offers all the luxuries with Hardwood Flooring, Maple Cabinetry, Granite counter tops with Island & More...A wonderful community filled with amenities,Clubhouse, pool, exercise rm, Dog park, Walking trails, outside pavilion & Pier & More!" "Welcome to Tanyard Springs! This spacious colonial home is walking distance from the community pool and tot lot. Kitchen offers dark cabinets with granite countertops, stainless steel appliance and a butler~s pantry with built in wine rack. Huge master retreat with walk in closet and ensuite showcasing a soaking tub, separate shower and dual vanity. Backs to a small wooded area and features a paver patio with built in bench and fire pit perfect for outdoor entertaining." "*Price reduced! Motivated seller! 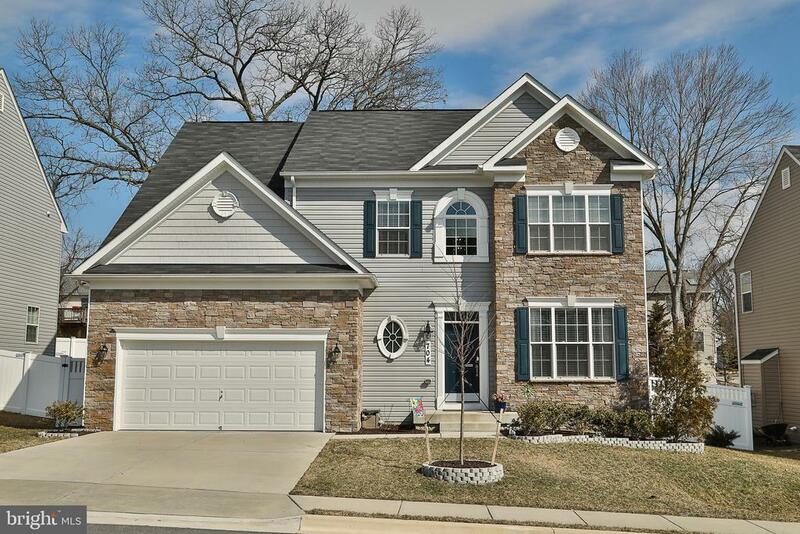 *Come see this beautiful colonial! It is only two years old and shows like new. 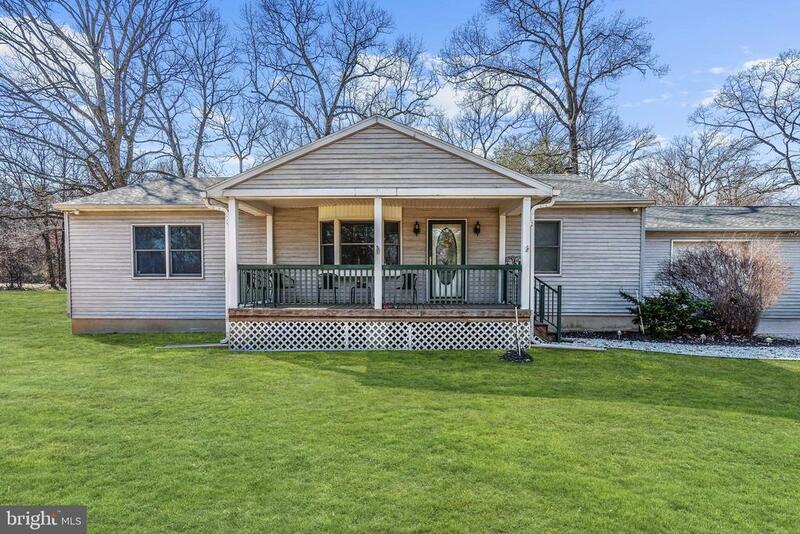 The home boasts hand-scraped hardwood floors, carpet, and tile throughout. There is a formal dining room (easily convertible space) with crown molding, and a two-story foyer.Lots of windows let in the gorgeous Maryland sunlight all throughout the day. The gourmet chef's kitchen has a gas cooktop, double wall oven, a microwave, a huge center island, matching Maytag stainless steel appliances, a walk-in pantry, and 42 wood cabinets with crown molding.Large family room with a stone-stacked gas fireplace, perfect for those cold nights.Three bedrooms and a bathroom upstairs plus the Master Suite, with a five-piece bathroom including a separate water closet, soaking tub, double vanity, and large walk-in glass shower. The master bedroom has two large walk-in closets and a cathedral ceiling. The secondary bedrooms all have double-door, spacious closets as well.The finished basement has a large area to use as an office/playroom/game room/media room/etc.There is also a fifth bedroom and fourth bathroom, perfect for your guests or a mother-in-law suite. The bedroom has a closet and an egress window.The backyard is fully fenced with a 6' white, vinyl fence. Yard also includes a stamped concrete patio and custom stone flowerbeds. You are close to shopping (Kohl's, Sam's, Lowe's, Walmart, Target, etc.) and many restaurants. Easy access to all the major highways (most in under 6 minutes! ), BWI, and Ft. Meade." "Everything is included with Lennar. Beautiful Portfield floor plan. 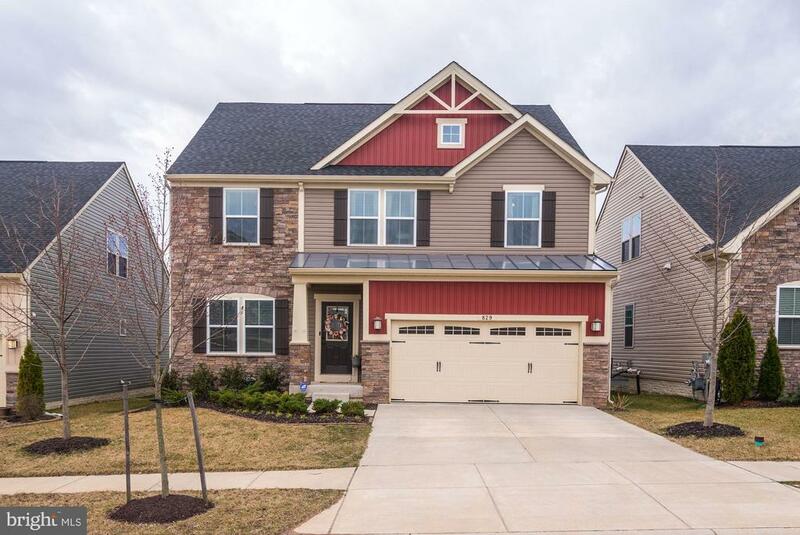 5 bedrooms, 3.5 bath, loft on bedroom area, fully finished basement with 5th bedroom and full bath, walk out basement, fireplace, sunroom, study, lots of counter space, large pantry. Waterfront resort style community with pool, club house, gym, walking trails, waterfront pavilion, kayaking at very low HOA. Photos are of model home NOT actual home"
"Be the lucky owner of Ryan Homes Pisa Torre former model at Creekside Village! Never lived-in model previously used as sales model professionally designed and exceptionally maintained by the builder. With nearly $200,000 in upgrades, this unique main level living home has everything you could ever want. 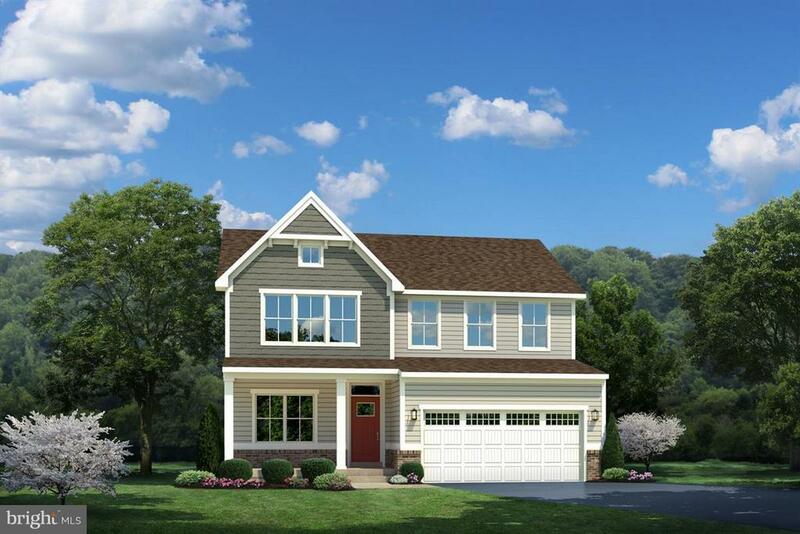 Structural upgrades include a finished upper-level loft (i.e., additional family room) with bedroom and full bath, morning room, master bedroom sitting room, open-floor plan, finished basement with half bath and wet bar that isn't even an option through the builder! This model is better than new with custom paint and moldings that aren't available in this community. It also has all the luxury upgrades you would expect, like a stone fireplace, granite tops, stainless steel appliances, wide plank wood floors, crown moldings, a study, main level bedrooms including the master, designer tile baths, a composite deck, inviting front porch, an alarm system, and upgraded carpets. Community includes a fitness room, pool, tot lots, clubhouse, dog park, sidewalks, open space and access to BWI, DC and Baltimore. Amenities are conveniently located within a quick walking distance across the street. Near Baltimore LightRail and MARC. 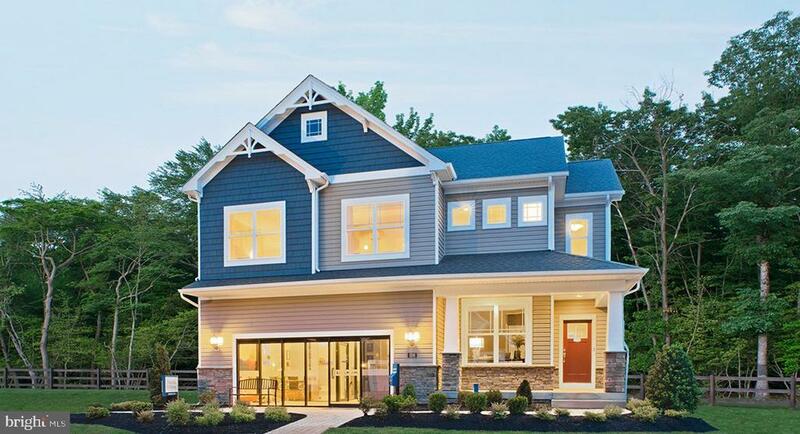 Energy efficient Built Smart by Ryan home which can save you up to 30% on your energy costs each month." "Come live the life at Creekside at Osprey Landing. 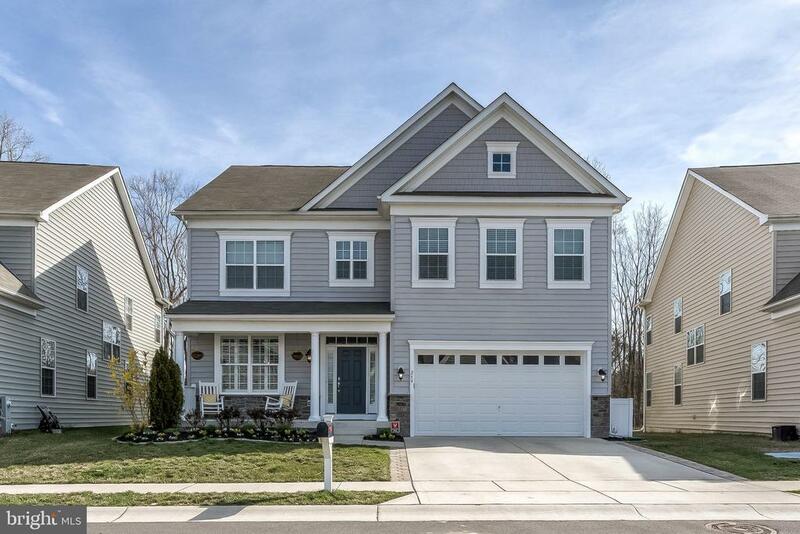 Nestled along Marley Creek in a gated community, this custom built Williamsburg Homes Colonial has been customized even further by its owners attention to detail and design. This home includes a deeded boat slip at the community Marina dock which also features a Clubhouse, a fitness center, an outdoor deck, and kayak and canoe storage. Wide planked handscraped solid hardwood floors, an open and bright floorplan, modern lighting, and plantation shutters are just some of the designer features. The family room features a gas fireplace, an integrated whole house sound system and a wall of windows with views of the wooded lot and water. A Chef's kitchen with dual convection wall ovens, a gas cooktop, glass backsplashes and granite countertops. Barn doors crafted by local artisans lead to a large pantry on one side and the laundry/mudroom on the other. On the second floor you will find a massive owners suite with tray ceilings, a walk in closet and a spa bath featuring an oversized shower, dual granite vanities, heated tiled floors and a private water closet. Down the hall you will find a large bedroom with it's own en suite bath, two more large bedrooms, and a full bath featuring a dual granite vanity, tiled floors and custom cabinets. The outdoor space backs to mature trees and has a maintenance free deck featuring a built in outdoor kitchen. Private tours available." "This Gorgeous Creekside Village Home is better than New. Built in 2016 it has a large open floor plan and many improvements and upgrades to include Gas fireplace, wood floors and upgraded luxur vinyl floors throughout. Large gourmet kitchen has upgraded cabinetry, stainless appliances, large island and mud room off garage. Upper level has Extra large master bedroom with walk in closets, luxury master bath, tray ceiling. Very spacious secondary bedrooms and baths. Fully finished basement offers rec room with wet bar, 2 finished bonus rooms, full bath and makes this home a perfect 10. The sunroom off the kitchen looks out to fenced rear yard. Large Patio makes this a perfect home for entertaining. This is a MUST SEE!" "Our popular Portfield floor plan can now be yours! This home features a beautiful open concept that makes everyday life easy. Enjoy preparing family meals in your beautiful kitchen which opens to the included finished morning room and spacious family room. This home features a study on the main floor in addition to a loft off the bedroom level. Plenty of room to work from home or create your own personal space. Enteraining in the finished lower level rec room featuring a walk out basement will make you a hit with friends and family. 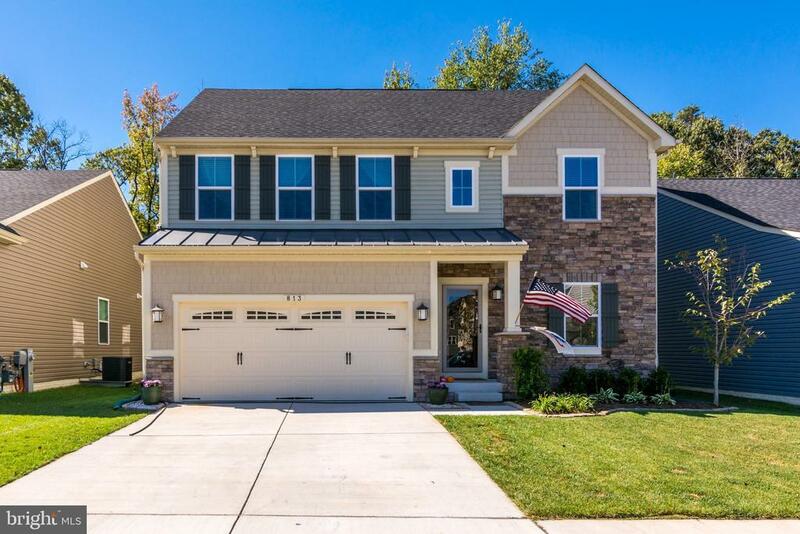 All of this plus living in the amenity filled community of Tanyard Cove can be yours!" 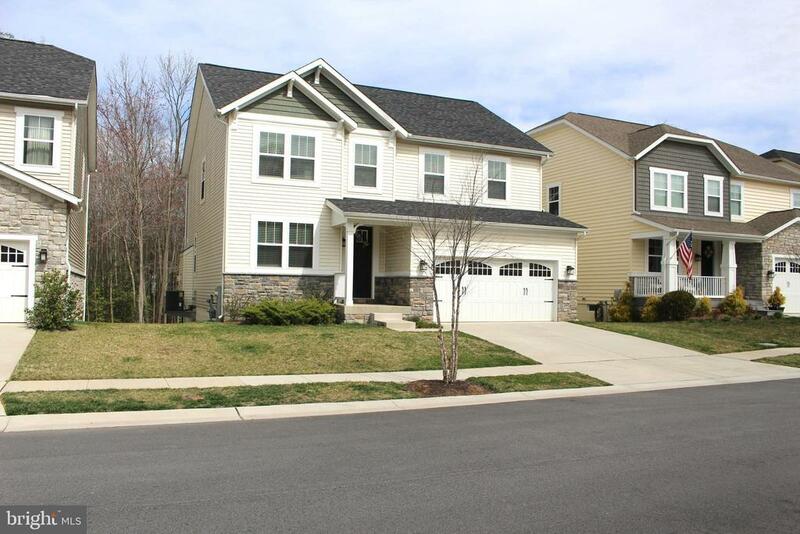 "Located in Creekside Village, this 4 Bedroom 2.5 Bath Beauty has Lots of Extras! AS A New Build this would be in the $520's! Stone & Vinyl Siding Front with 2 car Attached Garage & Concrete Driveway. 9 Ft Ceilings & Hardwood floors throughout main level. Open Gourmet Kitchen with Huge Island, Granite Tops, Stainless Appliances & Gas Cooking. Extra Bump Out for Breakfast/Dining Room with Cathedral Ceiling off Kitchen. Family Room with Gas Fireplace is great to take the Chill off! Master Bedroom Suite with Master Bath that has Soaking Tub & Separate Shower, Double Sink Vanity with Granite top, & Ceramic Tile Floor. Laundry is located on 2nd Level with Ceramic Floor & Cabinet Space. Unfinished Basement with space for rooms, Rough-In for Full Bathroom, and Walkout Stairs. Large Rear Yard with Vinyl Decorative Fence, Rear Patio, and Fire Pit for all your entertaining needs"
"Stunning 4 bedroom 2 1/2 bath home is perfectly situated on cul-de-sac and backing to trees! 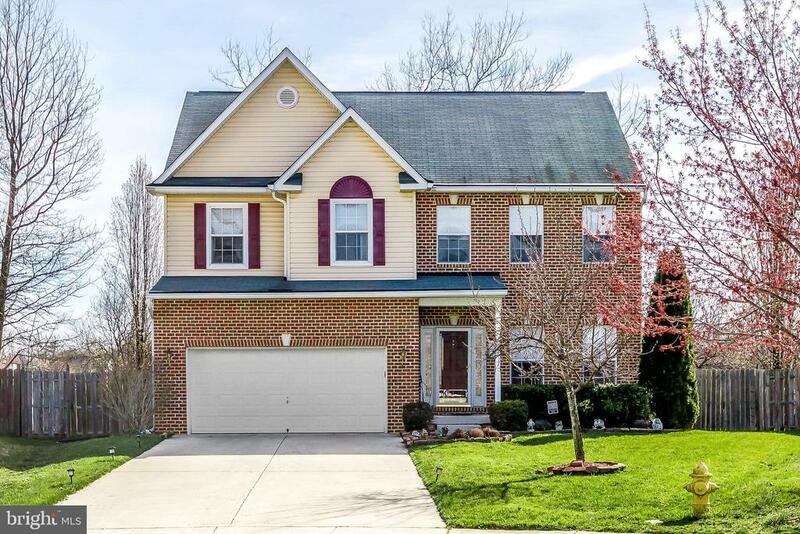 Features include 2-story foyer, open floor plan, wood floors and fully finished lower level with walk out. Kitchen featuring stainless steel appliances, granite counters and breakfast area overlooks cozy family room with gas fireplace. Relax in the master bath tub while enjoying the view from the windows. Laundry room on upper level. Large deck, paver patio and fire pit are perfect for entertaining!" "The To Be Built Hudson is an Incredible Home. Gourmet kit. w/ XL island & gas stainless appl., a HUGE walk in closet in owners suite, 2-car gar. Finished Rec Rm on Lower Level ! Optional first floor bedroom, amenity rich community! 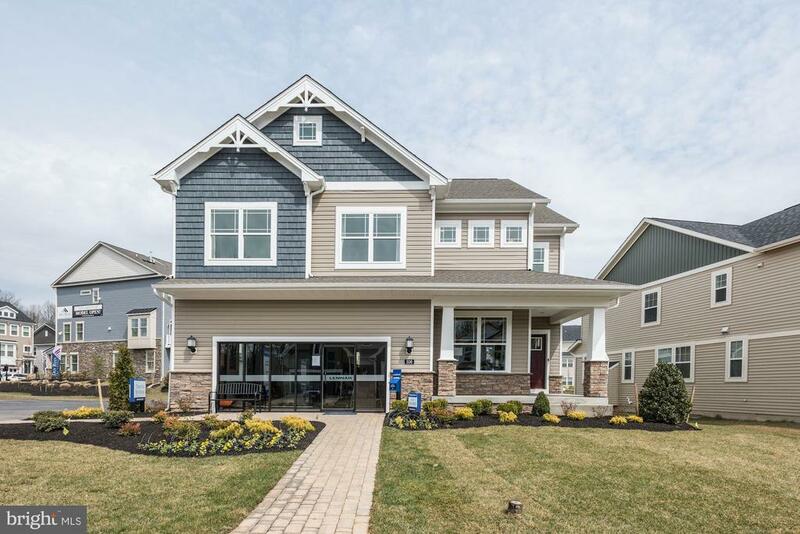 Come see why over 725 buyers have chosen Creekside Village for their new home. Ask Sales Representative about current incentives! Images shown are representative only. Hours: M-F 11-6, Sat. 11-5, Sun 12-5." 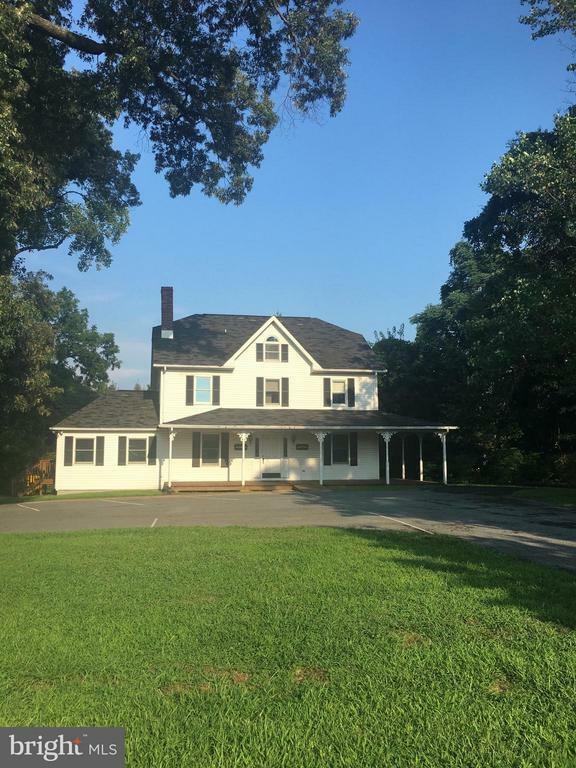 "Exciting opportunity to own a lovingly cared for home on over 1.5 acres of land! Fenced rear yard, deck and a huge oversized detached garage that comes with a car lift! Perfect for entertaining, the generously sized kitchen offers a plethora of counter space, a large breakfast bar in addition to table space for casual dining and is open to the family room. Hardwood flooring throughout the main living spaces. Separate living and dining rooms. Master bedroom highlighted by a walk-in closet and en-suite bath with a jetted tub and separate shower. Tons of storage available in the lower level. Property Updates: newer roof, HVAC (dual zoned) and waterproofing. This is a perfect set up for an individual with auto/trades business, someone that needs more space, or someone looking for an exclusive business opportunity. Come schedule your showing today!" 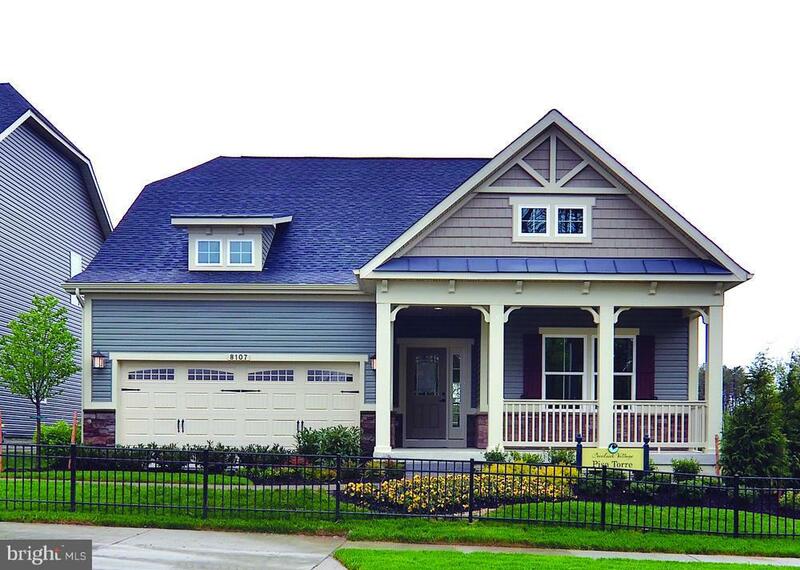 "NEW COLUMBIA To Be Built FLOORPLAN at Amenity Filled Ryan Homes at Creekside Village! The Columbia SFH w/2 car garage with finished rec. room on lower level ! Gourmet kitchen w/XL island, natural gas, stainless steel appl, design details throughout ! Clubhouse, pool, gym, dog park & more.Ask Sales Representative about current incentives! Minutes to all the major highways.Images shown are representative only.M-F: 11-6, Sat 11-5 & Sun 12-5." "Love where you Live- Creekside Village! All you want on 1 level. 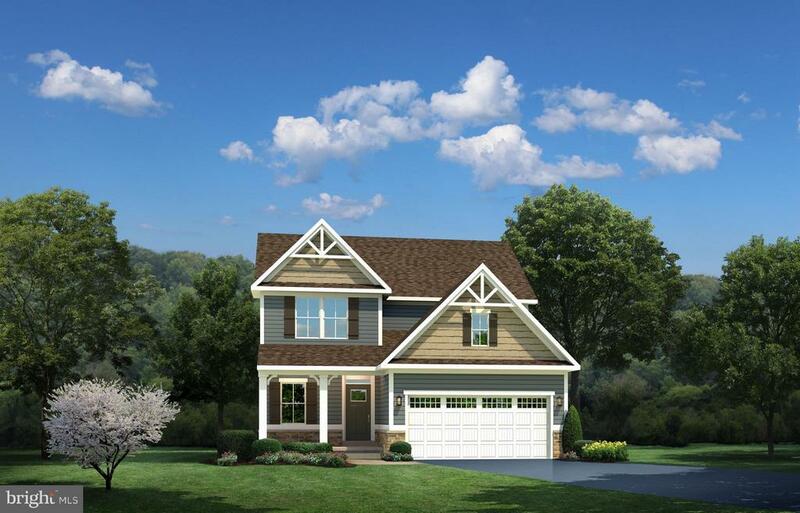 The to be built Andover Ranch style home w/ main floor Owners' Suite w/ private bath & walk-in closet. H/W, Granite, & more. Large kitchen w/ open floor plan. finished recreation room on lower level and Morning rm inc. & optional finished attic for even more space. No Front Foot Fee! Endless Amenities. Enjoy resort style living in this new home. Ask Sales Representative about current incentives.Images shown are representative only. Hours: M-F 11-6, Sat. 11-5 & Sun. 12-5." "NEW BALLENGER Floorplan in Amenity Rich Creekside Village Own a Single Family 4BR, 2 Car Gar for what you may be paying in rent. Finished Rec. Room on Lower Level included ! Gourmet kitchen w/XL island, stainless steel appl, design details throughout ! Clubhouse, pool, gym, dog park & more. Minutes to all the major highways.Ask Sales Representative about current incentives! Images shown are representative only.Hours: M-F 10-5, Sat. 11-5 & Sun12-5"
"Fabulous single family detached home in Tanyard! Beautiful kitchen, elegant fireplace in large living room, great layout, very spacious, wonderful brand new basement upgrades, nice cul de sac location, fantastic amenities in very conveniently located community! Take a look today and enjoy all that Tanyard offers this summer!" "Move right into this spacious single family home! Hardwood floors, recessed lighting, and neutral walls compliment this traditional floor plan. The beautiful kitchen flows seamlessly to the family room with cozy fireplace. Beautiful sunroom off of the family room. Spacious master suite with a full bath. Fully finished lower level that is great for entertaining. Must see!" "SPECTACULAR CUSTOM STONE FRONT CAPE COD WITH COUNTRY FRONT PORCH * AMAZING UPGRADES AND AMENITIES AWAIT YOU! MORE THAT 3100 SQ FT OF FINISHED LIVING SPACE ON THE FIRST TWO FLOORS ! AMAZING SOARING OPEN SPACES! NINE FOOT CEILINGS ON MAIN FLOOR AND FINISHED LOWER LEVEL * UPGRADED KITCHEN WITH GRANITE COUNTER TOPS AND STONE BACKSPLASH* HUGE CUSTOM KITCHEN ISLAND WITH GAS COOKTOP* UPGRADED CABINETS * NEW KITCHEN FLOORING * HUGE PANTRY * HUGE FIRST FLOOR MASTER SUITE WITH LUXURIOUS EN SUITE MASTER BATH WITH GIANT WALKIN SHOWER, GRANITE COUNTER TOPS ON CUSTOM DESIGNED CABINET* TONS OF CLOSETS * TWO STORY FAMILY ROOM WITH GAS FIRE PLACE * PARTIALLY FINISHED LOWER LEVEL HAS SECOND KITCHEN AND SECOND SET OF WASHER/DRYER AND ANOTHER FULL BATHROOM FOR POSSIBLE IN-LAW/AU PAIRE SUITE * COULD BE MASSIVE FAMILY ROOM OR HOME THEATRE * HUGE CUSTOM DECK OFF THE KITCHEN OVERLOOKS FENCED YARD WITH SMALL SWIMMING POOL/JACUZZI FOR RELAXING AT THE END OF A LONG DAY* AWNING STRETCHES OUT OVER THE CUSTOM DECK * AND DON'T FORGET THE THREE LARGE BEDROOMS ON THE SECOND LEVEL OF THE HOME! 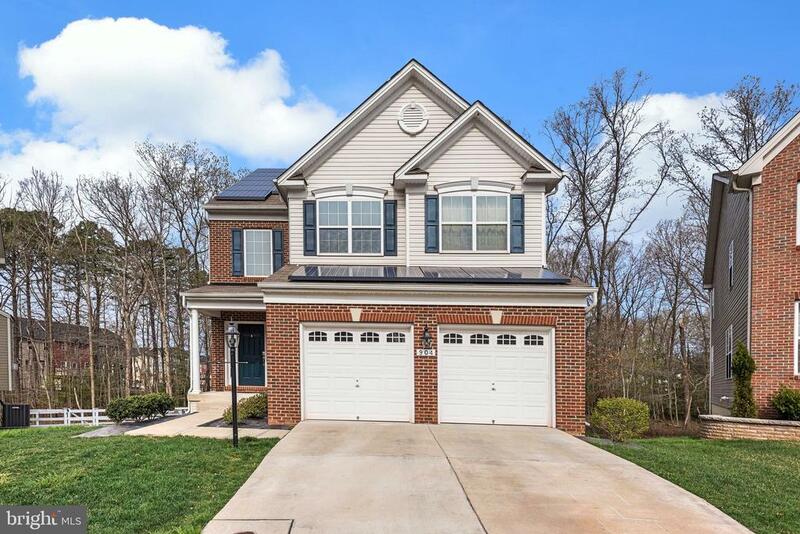 TWO CAR SIDE ENTRY GARAGE AND TONS OF OVERFLOW PARKING ON THE SIDE OF THE HOME * AND SOLAR PANELS FOR ADDED SAVINGS! DON'T LET THIS ONE GET AWAY!" "SINGLE FAMILY HOME AT A TOWNHOME PRICE !! 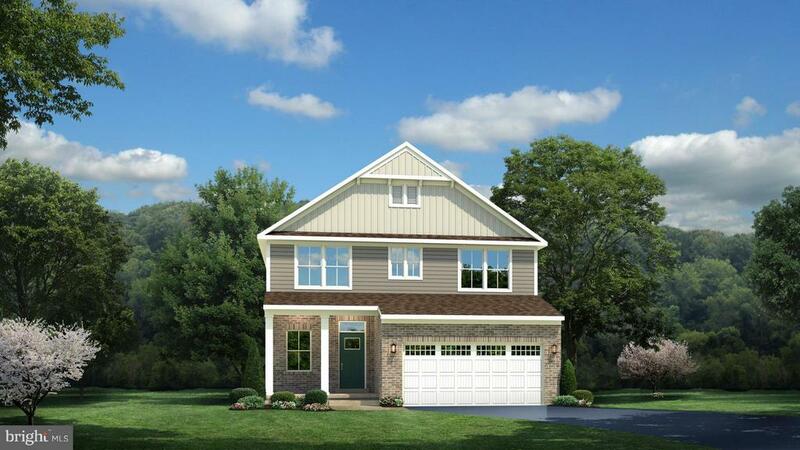 THE NEW TO BE BUILT ALLEGHENY FLOORPLAN w/ Finished Rec Rm on Lower Level! Charming 4 Bedroom Craftsman Style home. No Front Foot Fee! Granite, Stainless, 42 Cabinets & island make this kitchen a dream. Open layout to entertain. Large owners' suite w/ private bath, walk in closet and double sinks. Laundry is on the 2nd floor for your convenience. Ask Sales Representative about current incentives! Images are representative only. Sales: M-F 11-6, Sat 11-5, Su 12-5." "Town location on large corner lot with plenty of driveway parking plus 2 car garage. Perfect for owner run in home business, group home. 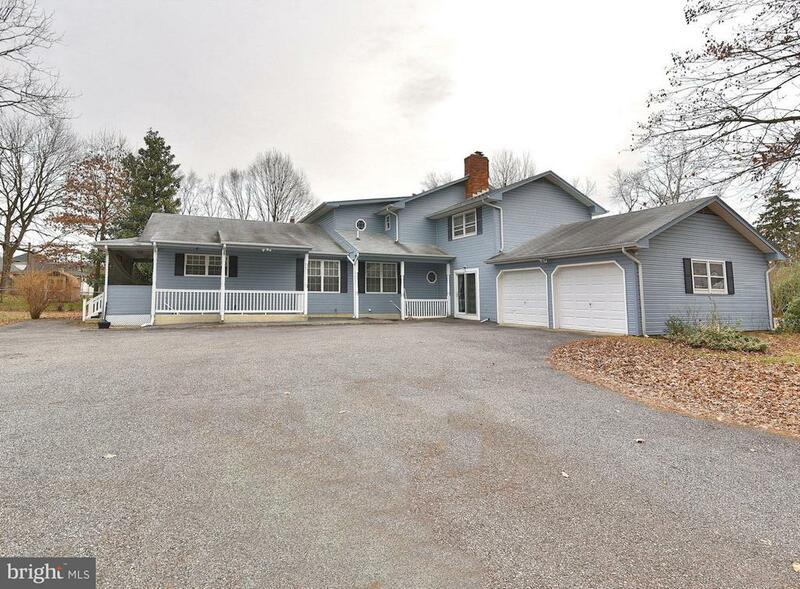 Many uses in this area under the present residential zoning per Anne Arundel County *buyer to verify their use* Home needs renovation but is a great layout with large living, family, and dining rooms and big open concept kitchen with massive island. Lower level is currently built out for business use with private entrance off large parking pad. Some hardwood floors, loads of potential and many options for large private residence or owner run business. Bring your imagination and make it home!"